One of the most common health complaints is a headache, including a headache behind eyes. Headaches can be described as pain in any region of the head ranging from the regions behind the eyes to the forehead or base of the neck. You can get a headache behind left eye, a headache behind your right eye, or a headache behind both eyes! Most causes of headaches behind the eyes can be treated with medications and habit changes such as drinking enough fluids and resting well. Many types of headaches or other medical conditions can lead to a headache behind your eyes. Headaches in this area not only cause pain but can also lead to eye discomfort and sensitivity to light especially when you’re using a computer. Many people can’t do without their computer, even for a day, whether it is to surf the internet, reply to mail, watch your favorite movie, or complete a mission in the latest adventure game. 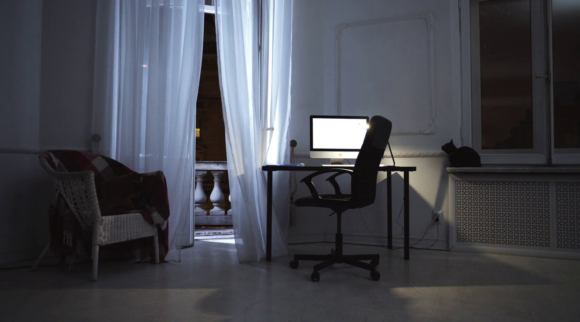 It has become a part of our daily lives to gaze at computer screens for hours. Knowing the cause of your headache behind eyes can help you treat it yourself or aid your doctor in making a precise diagnosis before administering treatment. We’re going to look at the various causes of headaches behind eyes, as well as available treatment options and medications that can help you treat a headache effectively. Eyestrain is a medical condition in which the eyes are tired from extreme use such as driving long distances without taking a break or staring at computer monitors for an extended period. 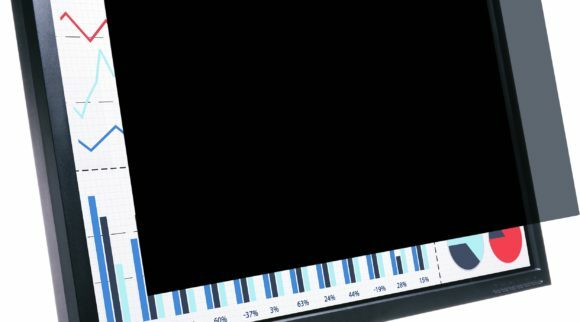 If the distance between the eyes and the front of the screen (working distance) is small, there’s a probability of straining the eyes more. Also, the brain does more work by directing the eye muscles to continuously readjust the focus so you can see what’s on the screen clearly. This condition is referred to by the American Optometric Association as digital eyestrain or computer vision syndrome. Studies have shown that people who stare at screens two or more hours every day are more likely to develop eyestrain than others. 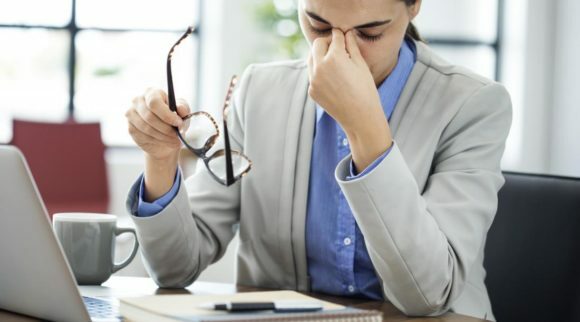 Eyestrain isn’t very severe but can lead to a headache behind your eyes, as well as other medical conditions if the eye is not rested and properly treated. 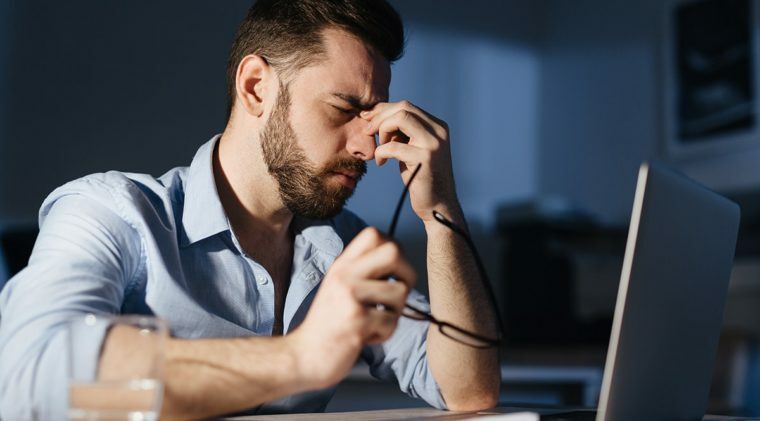 Some symptoms of eyestrain include dry eyes, sore, itching or burning eyes, headache, increased sensitivity to light, a sensation that you can’t keep your eyes open, and blurred vision. Most times, eyestrain does not require medical intervention. Although, it can be aggravated when it’s not properly taken care of. A simple rule to follow is the 20-20-20 rule developed by the American Optometric Society. It simply means you should take a 20-second break after every 20 minutes of continuous computer use. During this break, look at something at least 20 feet away. Tension headaches are perhaps the most common form of headaches, including a headache behind eyes. It is not caused by an underlying medical condition but can be a symptom of stress or poor posture. 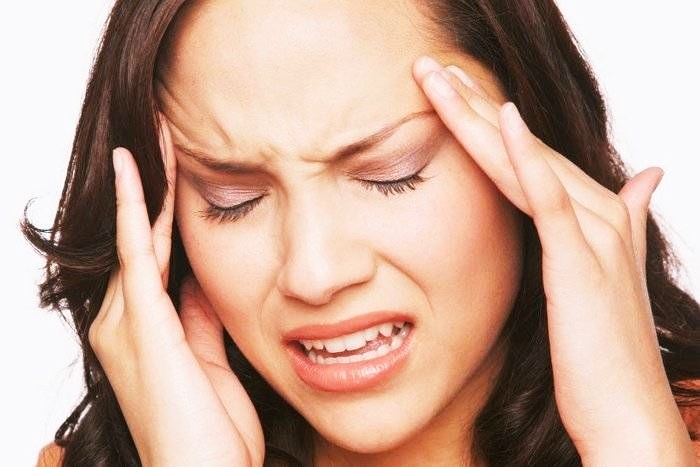 It is one of the primary headaches we have, other examples of primary headaches include cluster headaches and migraines. Tension headaches are considered to be sporadic and can occur once or twice a month but can become severe when they occur more frequently. Tension headaches also happen to be one of the most common causes of headache behind the eyes, including a headache behind left eye or right eye, as well as a headache behind both eyes. It can also cause pain in the forehead or behind the neck or both sides of the head. The pain felt behind the eyes is caused by the tightening of the neck muscles. Tension headaches can be caused by various things which include stress, emotional tension, depression or anxiety, noise and smell, squinting to read, poor posture causing neck and scalp muscles to be tightened, bright sunlight, certain foods and menstrual periods. That is why tension headaches occur more in women than men. Frequent use of painkillers can also cause a tension headache because the body tends to get used to the painkillers and withdrawal might lead to a headache. It can also be triggered by dry eyes and eyestrain; this can be prevented by taking periodical breaks while working on a computer and using eye drops. Tension headaches can be treated in various ways which include pain relievers, combination medications, triptans and narcotics. Chronic tension-type headaches can be treated with amitriptyline or occipital nerve stimulation in the worst-case scenario. Pain Relievers: Taking a painkiller such as paracetamol, aspirin, ibuprofen (Advil, Motrin IB, others) and naproxen (Aleve) usually works well to relieve a tension-type headache. It is often the first line of treatment for reducing the pain caused by a headache. It is advisable to take a full dose as soon as a headache is noticed, then a second dose can be taken after a few hours, if necessary. Ibuprofen is an anti-inflammatory pain reliever; it is more effective than taking paracetamol for some people. However, pain relievers should not be overused because it can result in withdrawal headaches and addiction. After a few days if symptoms persist, it is advisable you visit a doctor to prevent headaches caused by medication overuse. Combination medications: Combined medications could be more effective than single medication in treating a headache. For example, Aspirin or acetaminophen can be combined with caffeine or a sedative drug to be used as a single medication. Many combination drugs are available over the counter. Amitriptyline: Amitriptyline is used to treat chronic and more severe cases of tension headaches. Studies have shown that this medication significantly reduces the duration and frequency of a headache behind eyes, as well as other types of headaches. 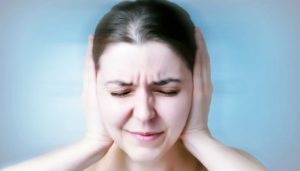 Triptans and narcotics: A triptan can relieve pain of those experiencing migraine and those having episodic tension headaches. Narcotics are also effective in treating tension headaches, but it’s rarely used because of the potential for addiction and adverse side effects. Occipital nerve stimulation: This is rather a modern form of treatment for tension-type headaches. They are used when a tension headache is becoming too difficult to manage and it’s not treatable with medication. However, this treatment option is not widely accepted and its safety and effectiveness are yet to be known. Other treatment options for tension headaches include Stress management classes, Biofeedback, Cognitive behavioral therapy (CBT), Acupuncture and Food Supplements. Cluster headaches are infrequent, but when it occurs, they are usually very painful. It involves clusters or cyclical patterns of one-sided head pain that may also come with droopy eyelids, blocked nose and tearing of the eyes. An attack can last for about 15 minutes and up to 3 hours in severe cases. Series of constant attacks also known as cluster periods can last for months followed by a remission period which is when the headaches stop. This type often produces a headache behind one or both eyes. Cluster headaches are usually not life-threatening, proper treatment can make the headaches less severe and shorter. A cluster headache is generally mistaken for other types of headaches such as sinusitis, tension headache or migraines. The pain that comes with cluster headaches can be more intense than migraines but doesn’t take as much time before it disappears. Although the major cause of cluster headaches is not yet ascertained, it is believed that cluster headaches occur when a nerve in the face is affected thereby causing severe pain around one of the eyes. Another general belief is that cluster headaches are caused when a chemical known as histamine is released in the region of the trigeminal nerve (a nerve in the face). There are more cases of cluster headaches in men than women. 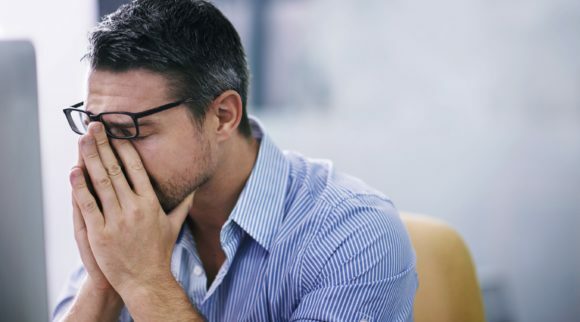 A cluster headache is not associated with triggers such as stress but can be triggered by bright light, physical activity, heat, certain foods especially ones rich in nitrites, high altitudes, and certain drugs. 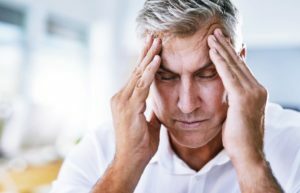 Signs and symptoms that are generally associated with a cluster headache include severe pain behind the affected eye, redness of the affected eye, excessive tearing, swelling around the eye especially the affected side, blocked or a runny nose, sensitivity to sound and light, and a drooping eyelid. Many treatment options can be used for cluster headaches, including medications, nerve stimulation, surgery and lifestyle changes. Medications: Medications such as triptans, Dihydroergotamine (D.H.E. 45) and Lidocaine can be used in the treatment of cluster headaches. Cluster headaches can also be prevented even before a headache starts. You can shorten the length of a cluster headache with medications such as Corticosteroid, sodium, Gabapentin, Ergotamine tartrate and Verapamil. Occipital nerve stimulation: In this type of treatment, the doctor places a device at the base of the skull near the affected nerve. Another available treatment option is occipital nerve injection in which a mix of anesthetics and steroids are injected at the base of the skull around the affected nerves. This form of treatment is usually used when the patient doesn’t seem to be responding to medications. Surgery: If other treatment options don’t work, surgery might be an option for people with severe cases of cluster headaches. Most surgical procedures involve blocking the trigeminal nerve (a nerve in the face) to reduce the pain caused by the headache. This process is usually used with caution because any slight mistake can lead to weakness of the jaw and loss of sensation in the face. Avoiding alcohol of any type whether wine or beer, this is a strong trigger for this type of headaches. You can also adjust your sleeping schedule. A sinus infection is usually confused with a migraine, tension headaches and other types of headaches. It’s very rare for a person to accurately self-diagnose a sinus headache. Most cases of headaches sent to nose and throat departments for sinus infection evaluation eventually end up being a migraine or some other type of headache. This is how you can tell the difference. A sinus infection, also known as sinusitis, occurs when bacteria or viruses find their way into the space behind the eyes, nose or cheeks. This makes the sinuses swell up, consequently blocking the nose with mucus. 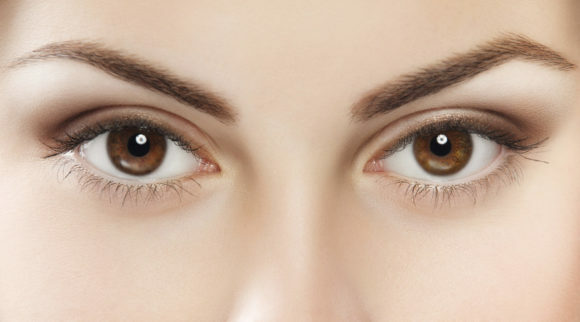 As a result of this, a pressure is exerted against the upper region of the face including the region behind the eyes. 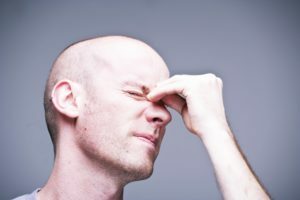 Symptoms of sinus headaches include pain around the sinuses above the nose, in the forehead and headaches behind eyes. Also, you may experience a blocked nose, sore throat, cough, fatigue, nasal discharge, and ear pain. Areas with infected sinuses may be tender to touch and may even cause a lot of pain. This pain may be aggravated by movement. Sinus infection can be treated with OTC pain relievers, antihistamines, and other home remedies. Pain relievers: These drugs are sold over-the-counter and can be used to relieve the pain caused by a sinus infection. However, they should not be used for more than ten consecutive days. If symptoms persist, you should visit a doctor. Examples of these drugs are ibuprofen, naproxen sodium and acetaminophen. Acetaminophen reduces the pain caused by inflamed nasal passages. Combination drugs can also be used to treat various symptoms that accompany a sinus infection. Decongestants: These medicines reduce the swelling and mucus in the nasal passages. You can easily get them over the counter and don’t need a doctor’s prescription. However, the instructions on the label should be followed precisely so as not to make the congestion worse. In addition, you shouldn’t use a nasal decongestant spray for more than three days in a row. If symptoms persist, contact a doctor. In some cases, your doctor may prescribe an oral decongestant to help with the congestion and pain. Surgery: This is used as a last resort treatment when other forms of treatments don’t work or the sinus infection keeps coming back. Your doctor will advise you about the risks and benefits of this option and also whether you’re fit to undergo this procedure. A headache behind the eyes is not only caused by viruses and infection but can also be caused by injuries to the face like those sustained while playing games or after being in a car accident. Fractures to the eye socket can damage the eye nerves, muscle and sinuses. Some symptoms of socket fractures include double or blurry vision, black eye, reduced vision, bulging or sinking eye, numbness in regions of the face around the injured eye, and swollen eye. A toothache can also cause a headache behind the eyes when throbbing pain and feelings of pressure start to spread to other regions of the face. Graves’ disease can cause swelling of the tissues, muscles, and fat behind the eye as a result of an overactive thyroid gland. 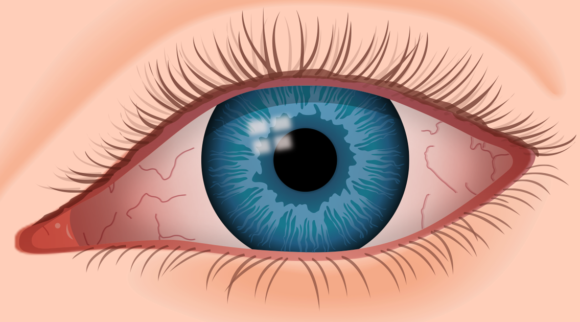 The eyeball starts to bulge from the socket resulting in other issues, such as dry eyes and the inability to move the eyeball. Other signs and symptoms of Graves’ disease include dry eyes, sensitivity to light, irritation in the eyes, unaccounted weight loss, erectile dysfunction and reduced libido, enlargement of the thyroid gland, tearing up of the eyes, and double vision. There are many treatment options available for this disease. Most of them are targeted at stopping the overproduction of thyroid hormones in a bid to reduce the symptoms of the disease. Some of the available treatment options for Graves’ disease include Radioactive iodine therapy, Beta blockers, Anti-thyroid medication and surgery. Radioactive iodine therapy: The most common treatment for Graves’ disease is radioactive iodine therapy. It is highly effective and has been in use since the 1940s. The treatment is taken orally and aimed at building up the thyroid gland to slowly destroy any overactive thyroid cells. This treatment might result in a reduction in the size of the thyroid gland. Although there have been concerns of an increased risk of thyroid cancer, no study has shown its increased risk. Anti-thyroid medication: This medication aims to inhibit excess secretion of hormones from the thyroid. Anti-thyroid drugs are most often used in conjunction with other treatments, such as radioactive iodine therapy. Generally, the condition starts to improve between 4 to 6 weeks. Two examples of these drugs are methimazole and propylthiouracil. Symptoms usually improve within 4-6 weeks of starting medication. Anti-thyroid drugs can often be used in conjunction with other treatments such as radioactive iodine therapy or surgery. Beta blockers: Beta blockers are generally prescribed to people with hypertension or heart issues. They can help reduce symptoms of Grave’s disease by blocking the effects of adrenaline. Beta blockers can also be used in conjunction with other treatments. This can increase the risk of side-effects due to different drugs interacting with one another. Surgery: The use of surgery to treat Graves’ disease is now less common because other treatments have greatly improved. However, surgery is still an option if other treatments don’t work. A common surgical procedure is Thyroidectomy, which involves the removal of part – or all – of the thyroid gland. The extent to which is removed depends on how severe the symptoms of the disease. It is the fastest and most permanent way to restore thyroid hormone levels. After surgery the patient may experience neck pain and a weak voice. This should disappear after some time. Optic neuritis, as the name suggests, is a condition in which nerves connecting the eyes and the brain become swollen. It can result in temporary loss of vision as well as pain around eyes and a headache behind eyes. It is usually caused by infection and is generally associated with multiple sclerosis. Other signs and symptoms of optic neuritis include pain in the eye, loss of vision in one eye, color blindness, reduced eyesight, and sensitivity to bright light. Loss of vision is usually not permanent and the condition tends to improve over time. However, in severe cases, vision loss could become permanent. Steroids are usually used to speed up recovery from optical neuritis but taking them for a long time can lead to side-effects such as weight gain and high blood sugar. Other home remedies that can help with the treatment of optic neuritis include avoiding smoking, and drinking a lot of water alongside healthy meals. Generally, Over-the-counter anti-inflammatory drugs and painkillers are used to reduce the pain caused by headache behind your eyes. Below are some of the most effective drugs that can be used to treat a headache behind eyes. 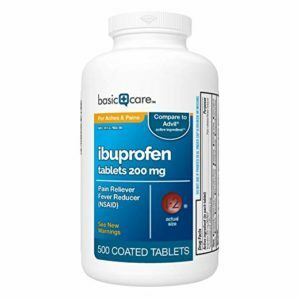 Basic Care Ibuprofen Tablets is a nonsteroidal anti-inflammatory drug that can be used to reduce headache pains, sore muscles and other aches and pains such as toothaches, backache, menstrual cramps and even the common cold. It can be used by adults and children that are above the age of 12. 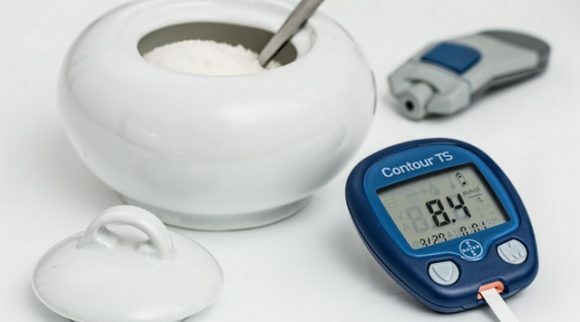 Ingredients: Active Ingredient- Ibuprofen 200 mg. Inactive ingredients- colloidal silicon dioxide, corn starch, croscarmellose sodium, Hypromellose, iron oxide red, iron oxide yellow, microcrystalline cellulose, polyethylene glycol, Polysorbate 80, stearic acid, titanium dioxide. Directions for usage: This drug contains 500 tablets. The smallest effective dose should always be used. One tablet should be taken every 4 to 6 hours. If the pain does not respond to this dosage, 2 tablets may be used. A total of 6 tablets should be the maximum taken in 24 hours. If symptoms persist, you should contact your doctor. 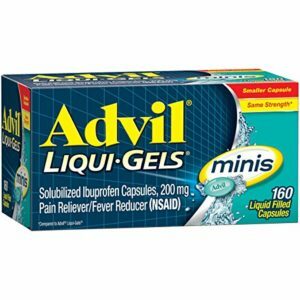 Advil Liquid-gels minis is a pain reliever that’s easy to swallow and effective in relieving headache, minor arthritis pain, backaches, muscle pain, menstrual pain and toothaches; it contains 160 liquid-filled capsules. It works great for a headache behind eyes, headache behind both eyes, as well as a headache behind the left or right eye. Directions for usage: Smallest effective dose should always be used. It should be used only by adults and children above 12 years. 1 capsule should be taken every 4-6 hours and two capsules can be taken if the pain doesn’t respond to one capsule. A maximum of 6 capsules can be taken in 24 hours. 3. 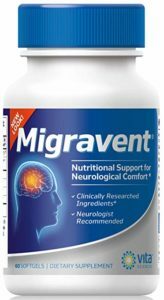 Migravent – Powerful Nutritional Support for Migraine Sufferers. Migravent is a diet supplement for migraine sufferers. It reduces sensitivity to lights, scents and food. Thus, providing good neurological comfort. It can be used as part of natural treatment and trigger avoidance therapy. Ingredients: Major Ingredients: Riboflavin (Vitamin B2) 133mg, Magnesium 109mg (as Magnesium Oxide and Magnesium Citrate *57mg elemental), Proprietary Blend (Butterbur Extract, CoQ10, Bioperine) 101mg. Other Ingredients: Safflower oil, gelatin capsule (fish gelatin, glycerin, purified water, lycopene complex, sodium magnesium chlorophyllin and turmeric), white beeswax and sunflower lecithin. Contains Fish (tilapia, carp)Directions for usage: 1 Softgel Capsule should be taken with food 2 to 3 times daily for one month. It can then be reduced to one capsule taken twice a day. This is another nonsteroidal anti-inflammatory drug by Basic Care; it is a pain reliever that can be used to temporarily reduce headaches, toothaches, backaches, menstrual cramps and muscular aches. Its active ingredient is 220mg Naproxen Sodium in Capsule-Shaped Tablets suitable for adults and children that are above the age of 12. It is gluten-free and has the strength to last up to 12 hours. 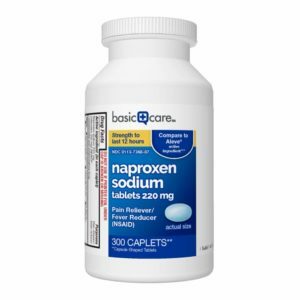 Ingredients: Active ingredient: Naproxen sodium 220 mg; (naproxen 200 mg) (NSAID) nonsteroidal anti-inflammatory drug. Inactive ingredients: FD&C blue no. 2 aluminum lake, hypromellose, magnesium stearate, microcrystalline cellulose, polyethylene glycol, povidone, talc, titanium dioxide.Directions for usage: Smallest effective dose should always be used. One caplet should be taken with water every 8 to 12 hours, while symptoms last. Two caplets can be taken as the first dose. A maximum of 3 caplets should be taken in 24 hours. 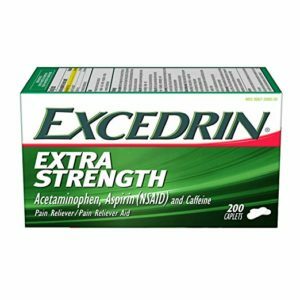 Excedrin Extra Strength can be used to provide headache relief. It contains a combination of pain reliever and an amplifier which are acetaminophen, aspirin, and caffeine. It can also provide relief to minor aches and pains due to a cold, arthritis, muscular aches, or a toothache. Directions for usage: It should be used only by adults and children above the age of 12. A dose of 2 caplets should be used every 6 hours, with a maximum dose of 8 caplets per day. 6. IMAK Compression Pain Relief Mask and Eye Pillow, Cold Therapy for Headache, Migraine, and Sinus Pain. The Brownmed IMAK Eye Pillow Pain and Stress Relief Mask can soothe tired and puffy eyes while providing cooling relief. It completely blocks out light while sleeping allowing you to relax and enjoy the relief. The cotton material creates a gentle massaging effect around the eyes and the stitching eases direct pressure on eyes. 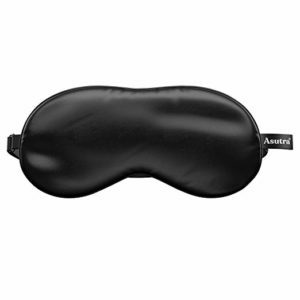 In other words, this is the ideal eye mask for headaches behind the eyes. It can be used for relief from migraines, headaches, sinus pain and eyestrain. It’s also good for meditation, relaxing and when you want to take your eyes off your computer screen and remove all distractions. This Eye Pillow contains pure and natural aromatherapy herbs that help relieve tension and stress. Plus, the flax seed filling provides gentle acupressure. Lavender has been used for centuries to improve sleep quality, relieve stress and help reduce anxiety. It can also be used to reduce inflammation and headache pain. The DreamTime Inner Peace Eye Pillow features a side zipper for easy washing and re-filling. Plus, it is made from soft natural fabrics that are durable and comfortable. 8. 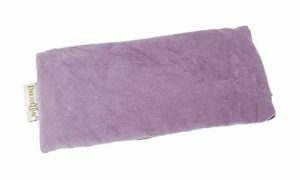 Asutra, Silk Eye Pillow Filled with Organic Lavender and Flax Seeds, 100% Hypoallergenic, Sleep Mask. 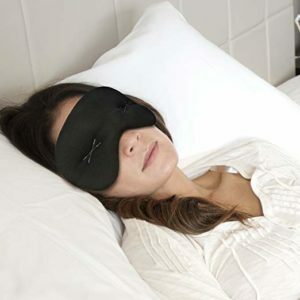 This sleep mask is made of 100% silk that is free of toxic materials. It makes a luxurious but affordable eye pillow. It is hypoallergenic and can be used as a sleep mask, for meditation, as well as migraine and headache relief. It also relieves eye fatigue and can be placed in the fridge for a cooling effect. 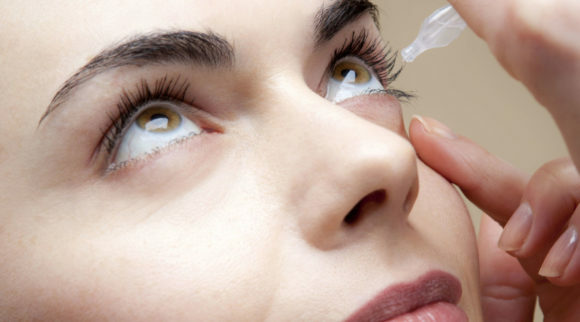 We hope these products and tips will help treat the cause of headaches behind your eyes. Wishing you a fast recovery!